Co-Optimus - News - Co-Optimus is Expanding: Writers Needed! 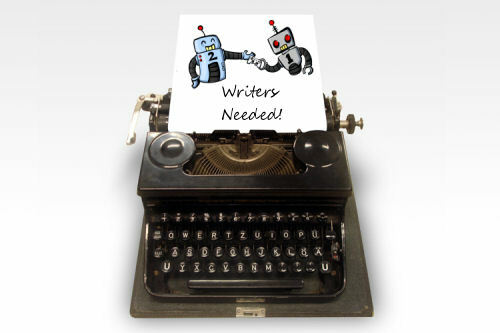 Co-Optimus is Expanding: Writers Needed! Do you love cooperative gaming? Do you love video games? Do you have an insatiable desire to write and express your thoughts and opinions about the aforementioned topics? As we approach our 2nd Anniversary here on Co-Optimus we're finding co-op gaming becoming more and more popular, so much so, that we need a little extra help. We're looking for competent writers to help with news posts, review games, and contribute to editorials. Own at least two or more of the major consoles, PC or handhelds. Positions at Co-Optimus are on a volunteer basis, therefore there's no direct compensation. That being said, I try to take care of our staff the best I can, and there may be opportunities in the future to attend events, get preview code for games, review product and more. To apply we need one writing sample as well as one "news story" that you come up with about co-op gaming. The news story should be in the style of the ones we post here and be about 4 to 5 paragraphs citing a source(s). Please also include your location, education level, and any relevant experience. Co-Optimus Mobile is a Go! Page created in 0.8588 seconds.